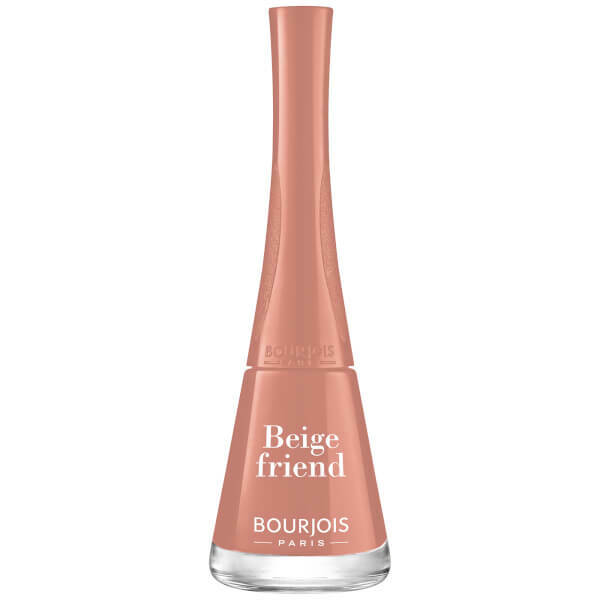 Achieve a salon-worthy manicure at home with Bourjois' 1 Seconde Nail Polish, a quick dry nail polish with one-coat gel formula. Gliding effortlessly onto nails, the ultra-glossy nail varnish delivers striking colour in a single sweep. It contains Silicone to give nails the perfect curve and an enviably glossy finish. Delivers neat and polished results in one stroke and one second. Fitted with a fan-effect brush that perfectly adapts to the size and shape of each nail.